Highly decorated Navy SEALs, now successful businessmen, show readers how to lead and win in business and in life with principles learned on the battlefield. An updated edition of the blockbuster leadership book that took America and the world by storm. In Extreme Ownership, Jocko Willink and Leif Babin share hard-hitting, Navy SEAL combat stories that translate into lessons for business and life. Jocko and Leif served together in SEAL Task Unit Bruiser, the most highly decorated Special Operations unit from the war in Iraq. Through those difficult months of sustained combat, Jocko, Leif and their SEAL brothers learned that leadership - at every level - is the most important thing on the battlefield. Now they teach these same leadership principles to companies throughout the business world that want to build their own high-performance, winning teams. 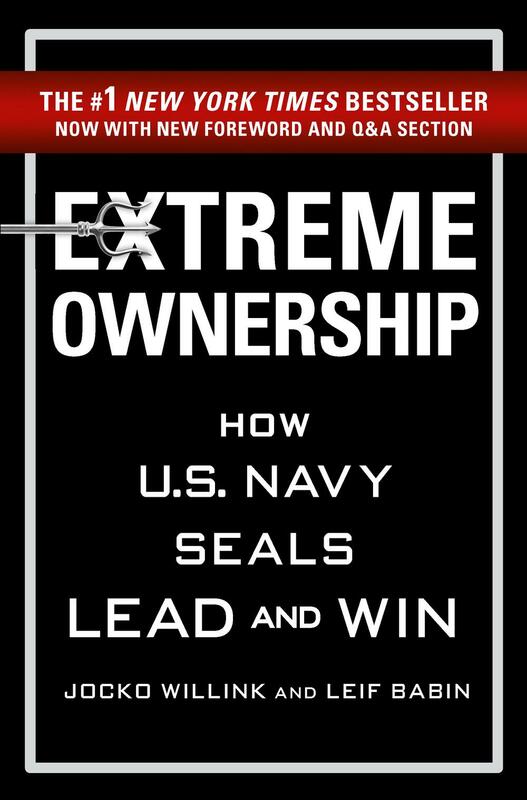 Extreme Ownership explains the SEAL leadership concepts crucial to accomplishing the most difficult missions in combat and how to apply them to any group, team, or organization. It provides the reader with Jocko and Leif's formula for success: the mindset and guiding principles that enable SEAL combat units to achieve extraordinary results. It demonstrates how to apply these directly to business and life to likewise achieve victory. Take Extreme Ownership. Lead and win.